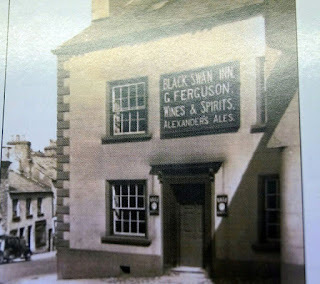 The Black Swan sits on the corner where All Hallows Lane meets Beast Banks, with Low Fellside just across the road. The inn is one of Kendal's survivors, having been in near constant use since its first mention, in 1775, when Geordie Wilson was recorded as the landlord. After Geordie’s death, his widow Agnes Lily Wilson took over. Above. 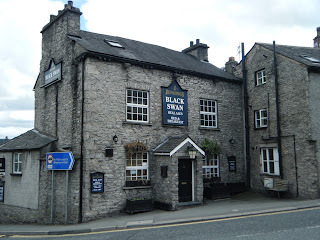 The Black Swan in 2006. The Female Benefit Society used to meet at the inn in 1797, and until fairly recently, it still had a men’s only bar. 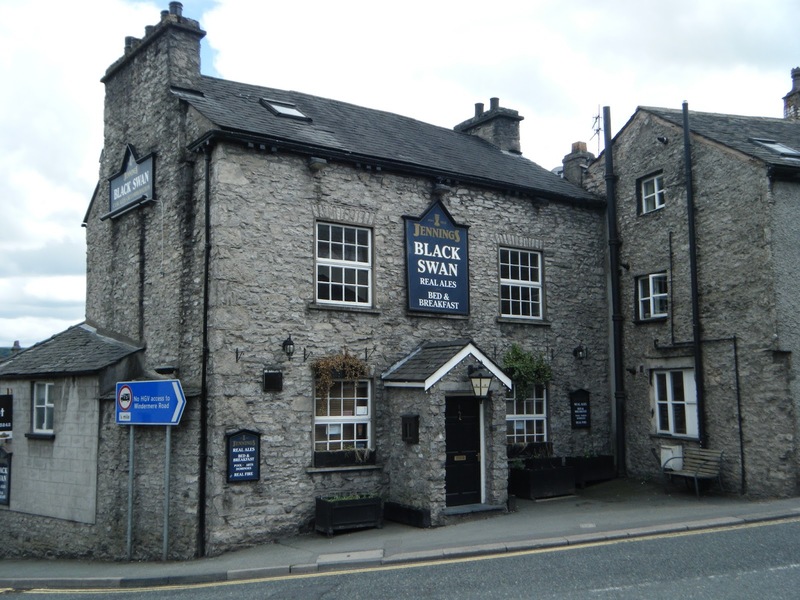 The Black Swan catered for drinkers in five drinking rooms, had five rooms for let, and a dining room that could seat thirty people. As recorded in 1892, the inn had stabling for eighteen horses. Above. The Black Swan way back then! "Doors, one from Bank Terrace, one gateway to back premises from All Hallows Lane which is locked every evening at six o’clock. Sanitary accommodation, urinal at side of house, urinal and wc in yard. Stabling accommodation for ten horses. Bedrooms, two for private and four for travellers. Distance from nearest licensed houses, Golden Ball Inn. 104 yards, and Angel Inn, 158 yards. Licensee has no supplementary occupation. The house is tied to two owners, Messrs Alexander and Sons. It is good for supervision and well accustomed."